2016 Knitting Cruise is August 21! The Mermaid’s Purl Knitting Cruise. 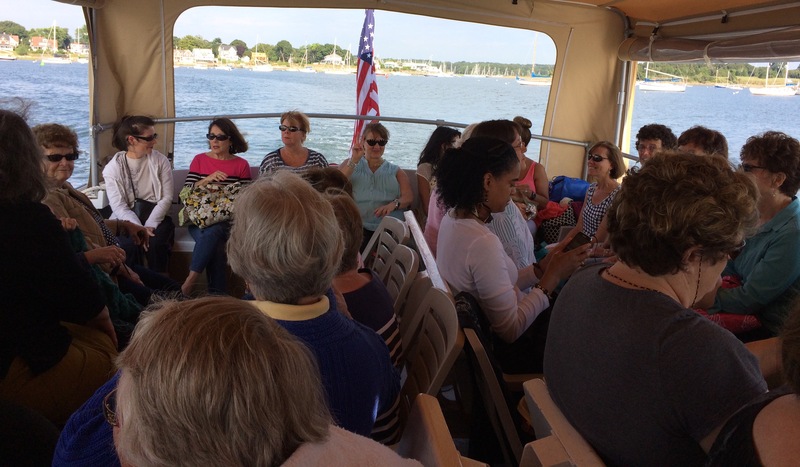 Join a group of knitters Sunday, August 21 from 9-Noon as we enjoy a guided tour through Newport harbor and the Bay aboard the beautiful Katherine. We meet at the ferry docks in Jamestown. A light breakfast will be served including mimosas and our homemade coffee cake. Yarn guru and knitwear designer Andra Asars is joining us for a fashion show. She is bringing Berroco’s newest designs and yarns for Fall. After the cruise, join us back at the shop for a closer look at projects and yarns. All purchases receive 15% off. The cruise is always the highlight of our Summer! In the case of a storm the cruise will be rescheduled. If you cannot attend the rain date, you will be issued a store credit. No refunds. ← Norah Gaughan is coming!